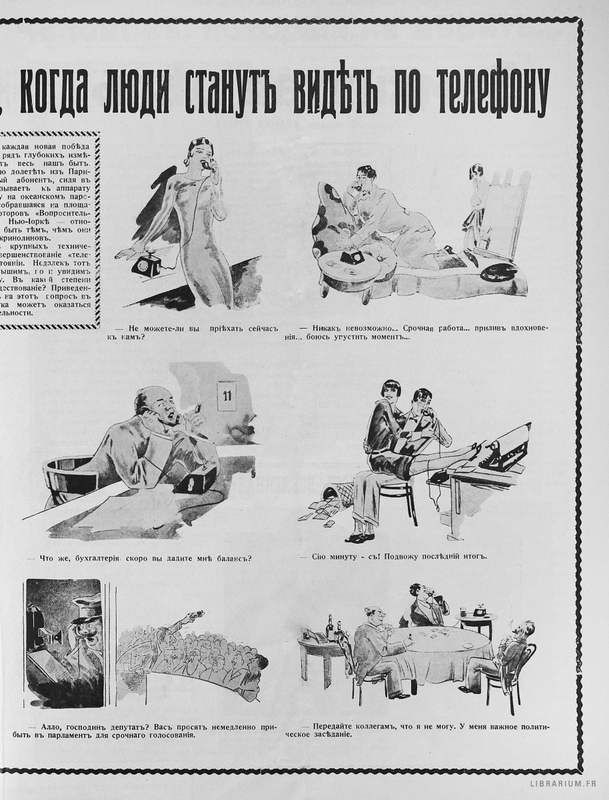 Librarium – is a collection of electronic versions of Russian émigré newspapers and magazines, a ‘site-archive of Russian émigré press’. It contains hundreds of rare illustrated periodicals produced during the interwar period. The central part of the site is occupied by the magazine Illiustrirovannaia Rossiia (The Illustrated Russia) which was published in Paris in 1924-1939. Vozrozhdenie (Renaissance), a Russian language daily newspaper published founded in 1925 is available via Princeton Historic Newspaper Collection. Digitised collections of Rul’ (The steering wheel), a daily Russian language newspapers published in Berlin (1920-1931), Vremia (The Time) and some other rare Russian language newspapers could be found at ZEFYS, a portal for finding and using current as well as historical newspapers from Germany and all over the world provided by The Berlin State Library. A digital archive (1919-1925) of the Russian language daily Segodnia (Today), published in Riga, can be found among the large collection of periodicals from the National Library of Latvia. This entry was posted in Uncategorized and tagged electronic resource, magazines, news, newspapers, periodicals, Russia. Bookmark the permalink. I believe the title is: COBETCHNN COIO3 (then a small hammer a sickle logo). I do not want to throw it away, Would you know of this publication or have interest an enlightening me about it. Cathy, its title is “USSR”, it probably is a propaganda magazine published by the commies in exchange for Americans publishing “America” for distribution in the Soviet Union (except it was not distributed). 🙂 I would keep it, it’s a rarity.